Rob Julian (RJ), is a true half-backer. Rob was born in New York, moved to Florida where he was raised in the lower east coast, and in 2008 moved half way up to South Carolina where he and his family call Greenville home. 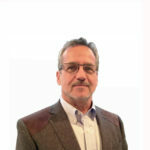 Robert serves as a senior consultant within the SperryCGA-Griffin Partners organization with a focus in tenant improvements, land development, and construction management. Rob provides tenant build-out consultation and services for clients as well as serving as Director of the land development division which focuses on key vertical and re-development projects. Rob has decades of experience in the turn key build outs of single family and multi family subdivisions, and planned unit developments; which includes concept design, coordinating with Architects and engineers, governmental zoning and plan approvals, permits, cost projections, financing, infrastructure, and vertical construction. Robert also has years of experience in turn key solutions for commercial sites and buildings from concept to completion. On top of all of the above, Rob is also an active investor in both residential and commercial properties. Rob has also owned and managed several successful businesses related to the construction industry. This all around experience and management skills gives Rob an active insight into the value of properties from the view point of a buyer, seller, and investor. Rob is a member of the Upstate CREIA, the South Carolina Association of Realtors, the Greater Greenville Association of Realtors, the Greenville Multiple Listing Service, and frequents meetings of the Upstate Alliance. His charity of choice is the Defender’s for Children, he is an avid snowboarder, mountain biker, and dirt bike rider. Rob holds a general contractors license in the State of South Carolina. He attended Florida Atlantic University and holds a professional five year degree in Ocean Engineering with a minor in International Business and Finance.